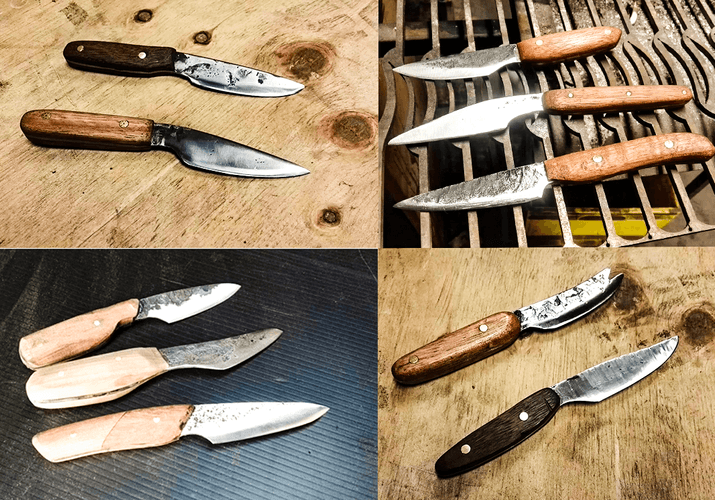 1-day Knifemaking Workshop may be the upcoming event you’re looking for. This is a 1-day beginners class where you will learn how to forge and finish your own handmade knife. It is not necessary to have previous experience for this course! You will be drawing out the steel (this will depend on what kind of steel your working with) and forging the profile of your knife. You will be using the angle grinder and belt sander to refine your knife profile, remove forge marks and clean back your blade. You can select a handle material from our stocks or bring your own timber/ handle material. You will measure the handle material to fit the tang then sand it down to your selected design. Finally, you will learn how to sharpen the blade ready for use. Please note: We allow students the option to bring their own steel/handle stock, please contact us prior to the class so can advise on the suitability of your materials.